I just love photographing this older baby stage. I designed these quick “milestone” photo shoots for babies at my studio, because they are just too sweet and changing so fast! You can bring your baby by to be photographed at any milestone: when they start holding up their head, sitting, turning one, or all three! A gift certificate makes a fantastic present for any new parent. I’ll do a post about this later, but I also offer a “Baby Plan” for my newborns who want an all inclusive package to come to the studio three times during their first year. Typically babies come around 4 months (holding their head up), 8 months (sitting unassisted) and 12 months (1st birthday!). It is so incredible watching them grow! Sweet little Hunter came with his mother to my downtown Manhattan studio from his home in Greenwich, CT for some baby portraits. Thanks for visiting, you two! Hunter is 7 months old here, and had recently started sitting. It’s such fun capturing this exciting milestone in a baby’s life. It’s so special documenting a baby’s first days during a newborn shoot, but let’s not forget that a sitting, laughing baby is equally magical. Hunter will be up and running before we know it! I love classic baby portraits on a white bed. Hunter is so cuddly and adorable; I imagine this is what he looks like sometimes while hanging out at home. Then we mixed things up with a studio backdrop. I design these baby milestone shoots to be quick and easy. We got a variety of looks, and documented this little guy’s laughs and adorable expressions. Not bad for 30-ish minutes! As if that weren’t enough, his mother brought Hunter’s outfit for his upcoming christening. And the photos will be a great addition to his christening invitation. That little bonnet is so sweet. And finally we ended with some monogrammed cuteness. To see more of my client reviews, please click here. Want portraits of your baby? Daisy Beatty is a portrait photographer based in Manhattan NYC, and East Hampton, NY. 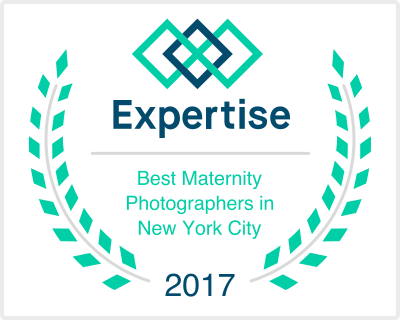 She specializes in vibrant, stylish portraits of families, maternity, children, and babies; as well as eye catching headshots for actors, models, and executives. Her award-winning work has been featured in both online and print publications. Her studio is located in Greenwich Village Manhattan, and she is available to travel around the city, the Hamptons, Fairfield County, CT, Northern NJ, and Boston, MA. For more information, please read her bio, visit her website, or get in touch!